The flow of timely and consistent information will significantly enhance your ability to administer STOP funds in your state or territory. 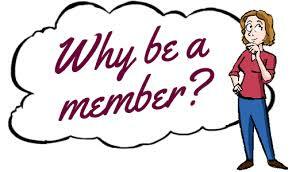 Membership in AVA can be compared to adding staff to your program. Technical Assistance: AVA will provide timely and relevant information to assist members in managing their VAWA formula and discretionary grants and to support sub-grantees. Scholarships: AVA offers scholarship opportunities to its members. In these difficult economic times, travel and training funds are often the first to be cut from state budgets, leaving administrators unable to secure necessary training. Click here to Apply for Scholarship Funds. Training and Networking Opportunities: AVA conducts its annual meeting in conjunction with the STOP Administrators’ conference to provide a forum to discuss challenges and develop strategies with those administering the STOP formula grant program. Liaison with Advocacy Organizations: Members of the AVA Board of Directors participate in regular meetings with other national associations. This helps AVA to keep administrators current on federal legislative and regulatory developments, maintain contact and communication with national victim advocacy organizations, and to advance common goals. Information Gathering: AVA surveys all administrators on various topics to assist in the development of pragmatic positions to share with OVW. Communications: AVA, through the Listserv, Website, and other means, provides general VAWA information and resources. The website contains timely information on the administration of VAWA grants and related topics such as links to VAWA statutes, guidelines and related regulations. Look for webinars and mentoring opportunities coming in the near future!